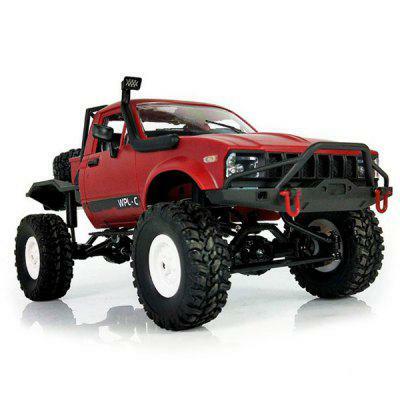 Traxxas has been updating a number of their popular R/C models this year and the latest round of revisions focuses on the Slash 4×4 Ultimate. As the name implies, this is a tricked-out version of the category-defining Slash short course truck, featuring aluminum hardware and heavy-duty components. Among the updates are heavy-duty suspension arms and driveshafts, a high-speed, metal-gear steering servo, and high-volume, aluminum-bodied shocks. In addition to these items, the Slash 4×4 Ultimate features blue anodized aluminum steering blocks, c-hubs, hub carriers, and axle nuts. Carried over from their previous model is a low-center-of-gravity chassis and the TSM system, providing drivers with total control no matter what skill level they may have. Another “standard” element on this truck is the Velineon brushless motor which is paired with an ESC that can support up to 3S LiPo power. Capping off this overhauled truck are two new body graphics packages (blue/green/black, and orange/blue/black). Each design package is eye-catching in its own right and looks great whether standing still or at full speed. Priced at $529.99, the Traxxas Slash 4×4 Ultimate will be available online and through your local Traxxas dealer. Visit traxxas.com to learn more about this updated short course truck model.